← Are you sure it is Banting-friendly? Nutritional ketosis has fascinated me for a while now, for many reasons actually. The first one being the role ketosis plays in weight loss, secondly its advantage when it comes to endurance sports and thirdly due to the amazing discoveries scientist are making when it comes to the role a ketogenic diet plays in fighting back against cancer, Alzheimer’s, autism, PCOS, depression, diabetes, psoriasis, Crohn’s and heart disease, to name just a few. 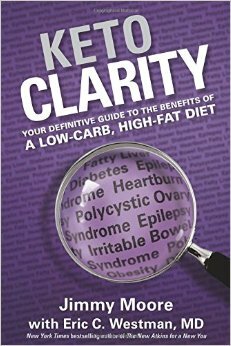 In this post, I will use content from Jimmy Moore’s and Dr. Eric Westman’s new book, Keto Clarity (which I can highly recommend) to explain a bit more about this little known gem of nutrition science. When you consume a diet that is very low in carbs, moderate in protein and high in fat, your body converts from using glucose as its primary source of fuel to running on ketones. It’s the ketones that provides your body with the energy it needs. Your body changes from being a sugar-burner to being a fat-burner. Did you know that ketones are actually the preferred fuel source for the muscles, heart, liver and brain. These vital organs do not handle carbs very well; in fact they become damaged when we consume too many carbs. Here is another interesting fact: Before there was medication to control epileptic seizures in children, there was the ketogenic diet, which managed to do this very effectively until the anticonvulsant medication, Dilantin, was introduced in 1937. When you consume too many carbs, the excess that your body doesn’t need for fuel, gets stored as fat, which cannot be easily accessed for energy. In other words, the fat stays in your cells and your bum stays big. You can’ t burn fat stores if your body is continually burning sugar and starch. Remove the carbs and your body very happily adapts to burning fat instead. This process can take up to a few weeks though and you might not feel so great while your body adapts. Headaches, stomach upsets and fatigue are common during this transition phase. When you are keto-adapted, you generate energy from the fat you consume in your diet as well as from the fat stores on your body. Your blood sugar and insulin are also lowered and very often return to completely normal levels. You will find that your sugar cravings go away, energy levels increase and most importantly for weight loss, your appetite is diminished. This allows you to eat less and lose weight, without feelings of hunger or deprivation that are so common with a calorie-restricted, low-fat diet. 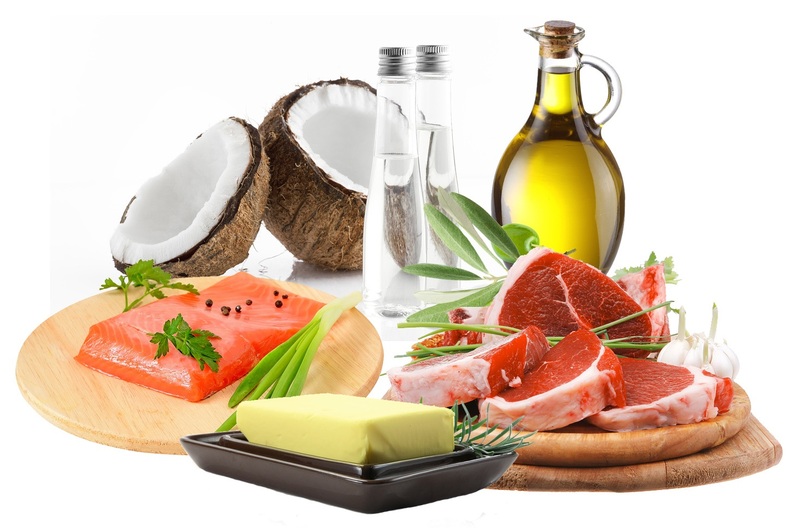 The high-fat component of a ketogenic diet satiates like nothing else can. And that is why is works so well for weight loss. People not only lose their excess weight but they keep it off, as this way of eating is easy to maintain because of the delicious and satisfying foods one can eat. More and more endurance athletes are switching over to a fat-burning diet as they are experiencing better performance and recovery on a ketogenic diet compared to a carb-loaded one. My husband is one such athlete. He recently ran the gruelling Tuffer Puffer trail running event. This entailed running from Granger Bay (by the V & A Waterfront), to Cape Point and back again. I need to mention here that they run non-stop, and through the night for 160 km’s! It is definitely not for sissies. He ran this event in a fully keto-adapted state and was able to maintain a steady pace for 27 hours. He never “hit the wall” once. He was fuelled by ketones the whole way. His race food consisted of eggs, bacon, cheese with butter, macadamia nuts, coffee with cream and biltong. No carbs or sugary sports drinks were consumed. The most remarkable thing was how quickly he recovered post event. Even his physio was amazed that he had no inflammation in his leg muscles. He has seen his performance go from strength to strength and cannot imagine any other way of eating for endurance sports. Even though more long-term studies and research is needed in this area, ketogenic nutritional therapies show great promise for many modern diseases, including cancer. The human brain needs fat and cholesterol for proper functioning. Being in a state of ketosis lowers chronic inflammation and significantly reduces the production of insulin, which has been implicated in the development of neurological diseases such as Alzheimer’s, dementia and Parkinson’s. According Dr Perlmutter, a ketogenic diet provided more improvement in functionality for Parkinson’s patients than pharmaceutical intervention. Did you know that Alzheimer’s is commonly referred to as Type 3 diabetes in research circles? With regards to cancer, the theory behind using a ketogenic diet to treat and prevent cancer is that cutting out glucose starves the cancer cells. This has been proved in animal studies but unfortunately there haven’t been any human clinical studies yet – only anecdotal evidence of tumours shrinking and cancers going into complete remission through patients following a ketogenic diet. MS (Multiple Sclerosis) is another disease which is showing promise of treatment through a ketogenic diet. Dr Terry Wahls , who herself overcame secondary progressive multiple sclerosis through ketosis, is seeking funding for more research into this area. She had been confined to a tilt-recline wheel chair for 4 years. Within a year, she was able to walk without a cane and even ride her bicycle. You can read her story here. A keotgenic diet is also being explored as an effective anti-ageing therapy. It appears that lowered insulin levels, increases lifespan, because of the decrease in oxidative stress. Arthritis is another condition that many people are convinced improves once they start eating a low-carb, high fat diet, because of the anti-inflammatory effects of ketosis. Reading Jimmy Moore’s book, Keto Clarity, left me feeling so hopeful for the future. What if a simple low-carb, high-fat diet could help people get healthy and lose weight? Imagine a world where instead of popping handfuls of pills every day, one could rather eat delicious foods and get the same (if not better) results than they did on medication? Obviously there is much work to be done in the fields of research and proper human clinical trials. But there is nothing stopping you giving it a try right now. Why wait for the science to catch up when so much anecdotal evidence already exists of people whose lives have been forever changed. Posted on September 6, 2014, in Primal 101 and tagged Keto Clarity, keto-adapted, ketogenic diet, nutritional ketosis. Bookmark the permalink. 1 Comment.